Check out our list below of road trip products, tips, and hacks to make your journey a bit easier. We have compiled ides for both you and the kiddos including printouts on how to change a tire, scavenger hunts, and coloring pages. Plus, hacks to making eating and storing items while on the road a whole lot easier and more convenient. First and foremost, create a DIY roadside emergency kit. Click HERE to get an idea of what you should include! Pack lots and LOTS of car snacks. Picking these up prior to hitting the road can be cheaper, but hitting a convenience store mid-trip is always fun! Pack paper towels and/or wet wipes to clean your hands, face, and any spills. Extra coins and small bills for any tolls and parking meters. Peppermint or cinnamon gum. Chewing this while driving is proven to reduce frustration and help you stay focused. Which is always a good idea while driving! Sew an inexpensive seatbelt cover to make napping in the car more comfortable. Plus, it’s a space saver over a regular pillow. Learn how HERE! A phone mount. This will make using a GPS and talking hands-free much easier. You can rig a gator clip to your air vent if you are looking to save a bit of money. A plastic cereal container with a trash bag to collect all car trash. This awesome inflatable mattress for cars! Check it out HERE! A shower caddy to store all fast food you binge on. Burgers, fries, and condiments all stored together. 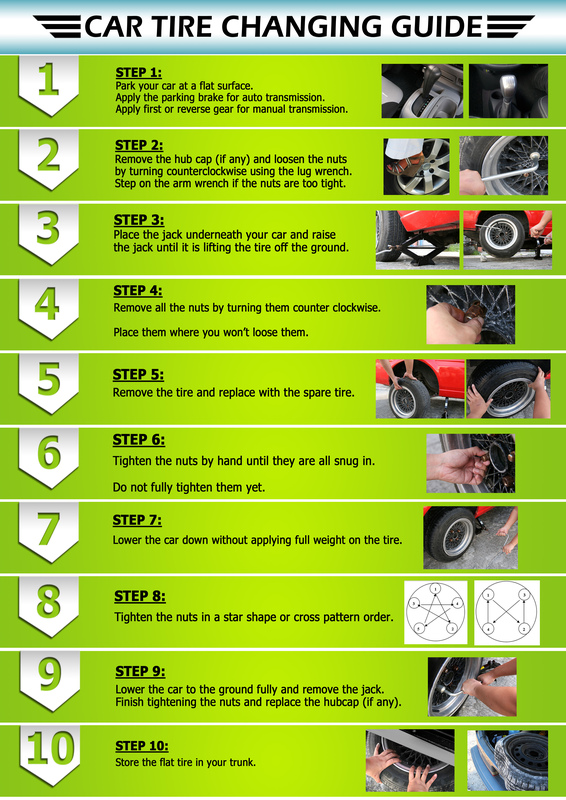 THIS PRINTOUT to assist you in the case of a flat tire. A pack of dryer sheets to keep your car smelling fresh and fine! A 2 port USB charger. No need to share when there are two ports! A Jane Wandering Travel Journal to document your trip! A camera to document all the places you visit, but also the extraordinary journey. Suction cup containers to attach the windows for pencils, toys, and snacks. Use press and seal plastic to turn any open cup and straw into a kid-friendly quicklid cup. Find this hack HERE! Create a carsick bag incase someone on your road trip becomes ill. Click HERE for a list of suggested items to include. Create a magnetic travel tin with a metal lunchbox and magnets. Shoe organizer for the backs of your car seats. Use this to store all kinds of toys, snacks, and games. 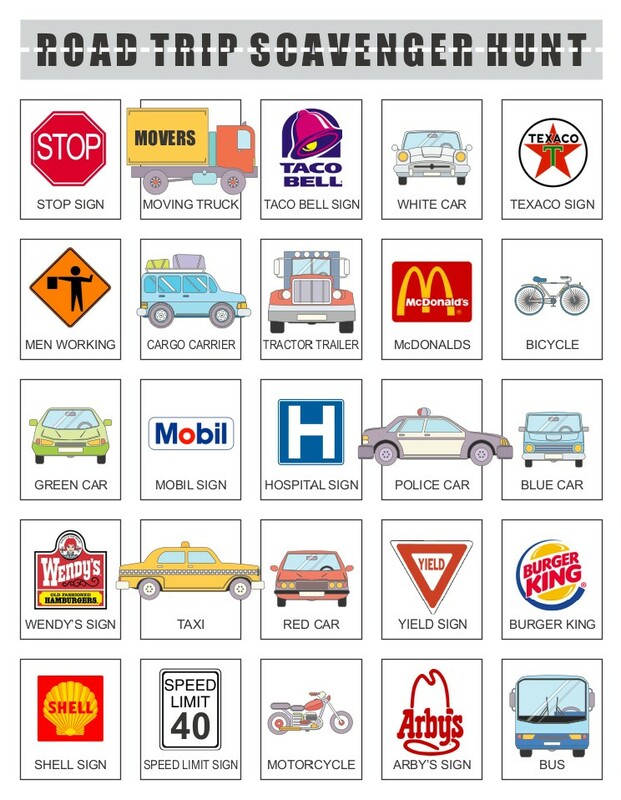 Print out one of these fun Road Trip Scavenger Hunt printouts. Have the kiddos play this game as you drive down the highway. Create a plastic craft box snack holder. Swap out the beads for multiple tiny snacks! Turn a DVD case into a coloring kit with blank paper, images to color, and colored pencils. FUN IDEA! Print out images of where you are traveling to for your kiddos to color in. DIY snack packs! I’ve seen these all over the internet. Find out how to create it HERE! Check out all the fun Jane Wandering products that are road trip ready too! We have created a list with tons of links below. Jane Wandering offers awesome road trip gifts too! USA Hello Cards– You need to see how clever these are! The Ultimate Road Trip Atlas Book– inexpensive and in-depth! Do you have awesome hacks for road trips? Comment below and help us build our list!